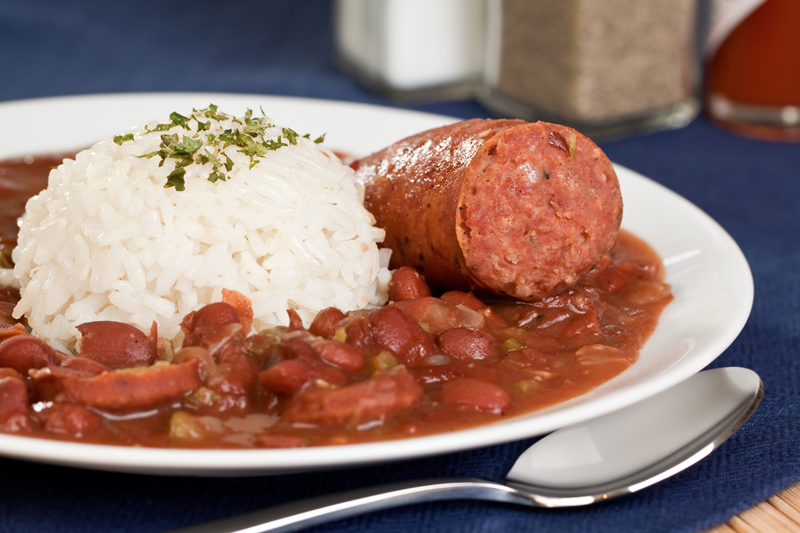 When you think of the must-try food in New Orleans the culinary wonders spread far beyond the French Quarter and the iconic Creole and Cajun restaurants. It seems there’s a handful of new places opening every month, adding to the stellar roster of delicious food you’ll likely won’t find anywhere else. Then there are the old (sometimes decades- or even centuries-old) favorites that make the food-bucket lists for very good reasons. The Uptown area is no exception — from the ambitious newcomers to the old-world landmarks — there’s much to recommend for you to try. Here’s just a sampler of our favorites. There’s a slew of restaurants along the St. Charles Avenue streetcar route, so you can hop on and off the streetcar while sampling your way between Canal Street and the Riverbend. For breakfast or brunch, try the Mardi Gras sandwich at Camellia Grill (626 Carrollton Ave.), a classic 1940s diner where white-jacketed staff members serve up delicacies ranging from grilled pecan pie to cherry-chocolate slushies. Stuffed with turkey, bacon and corned beef, it’s a meal in itself, and worth joining a fast-moving line of Tulane students, tourists and locals waiting for a seat. Another inexpensive local hangout with Southern staples and plenty of local color, the upbeat Slim Goodies Diner (3322 Magazine St.) does many different kinds of scrambles, from meaty to vegan, called slammers. Try the Creole slammer, which comes with a biscuit, crawfish étouffée and hash browns. And, the locally sourced green eggs and ham breakfast sandwich at Satsuma’s Uptown location (7901 Maple St.) comes with a serious coffee selection. The green part is basil pesto, by the way. For oysters, head to Superior Seafood & Oyster Bar (4338 St. Charles Ave.), located in a high-ceilinged, imposing building on the corner of St. Charles and Napoleon Avenues with some of the best views of St. Charles Avenue in the city. The full-service oyster bar doles out 50-cent raw oysters during the popular happy hour, which you can enjoy with Superior’s signature frozen pomegranate mojito. Also on the streetcar’s route, Luke (333 St. Charles Ave.) offers a deal on raw oysters for its happy hour (75 cents), complemented by Executive Chef Erick Loos’ French/German menu. The menu’s seasonal ingredients come from the Gulf and local farms and are highlighted in dishes like stuffed P&J oysters, and Creole seafood and sausage gumbo. If you’d like a really well-made martini with your dozen raw, head to the iconic Pascal Manale (1838 Napoleon Ave.), where oysters are shucked right in front of you and a happy hour is a decades-long tradition. Everything is worth trying at the James Beard Award winner Chef Donald Link’s wildly popular restaurant Herbsaint (701 St. Charles Ave.). Herbsaint predates Katrina and remains the flagship of the Link Restaurant Group (which runs several businesses including Peche, Cochon and La Boulangerie). Herbsaint has been, and continues to be, on many “Best Restaurants” list, for reasons that will become clear as soon as you dig into its crispy goat, or shrimp and fish ceviche. The French-Southern menu sports some Italian influences (evident in the presence of housemade gnocchi and spaghetti), with a spotlight on local, seasonal produce and sustainably sourced seafood and meats. For an outstanding gumbo and fried catfish head to High Hat Cafe (4500 Freret St.). Part old-fashioned diner, part neighborhood bar and part Deep South food destination, High Hat Cafe is located in a once sleepy neighborhood thoroughfare bordering Tulane University. Now revitalized, the Freret Street corridor is a food and entertainment destination in its own right. Another plus? It’s only two blocks from the Alder Hotel. For lighter fare, like a well-curated cheese board, perhaps paired with a glass of wine, check out St. James Cheese Company (5004 Prytania St.), also home of the kid-friendly $5 Mini Moo sandwich. Housed in the former Freret Street Boxing Gym, the chic yet casual Wayfare (4510 Freret St.) also does great cheese or charcuterie boards, complemented by craft cocktails and local drafts. Wine and small plates rule at Bar Frances (4525 Freret St.), a lovely bistro with a seasonal menu and a large selection of natural wines, so that’s another solid bet for a great cheese plate. Yet another contender in that category is Cure (4905 Freret St.), a chic, dimly lit craft cocktail bar with a leafy patio and award-winning concoctions. For something more substantial, the romantic La Crepe Nanou, located on the corner of Robert and Prytania Streets, a fantastic selection of sweet and savory crepes. Patois (6078 Laurel St.), helmed by Chef Aaron Burgau, puts a local spin on mussels, grilled Gulf shrimp and southern staples like sweetbreads in a lovely, softly-lit setting. For authentic Sicilian cuisine by the renowned Chef Nick Lama head to Avo (5908 Magazine St.). The seasonal menu is bursting with seafood (try the charred octopus) and homemade pasta dishes. The interior is gorgeous, but see if you can score a table in the candlelit courtyard. For a taste of Creole New Orleans like turtle soup and fried green tomatoes, the iconic Upperline (1413 Upperline St.) is a must-try. Hands down one of the most romantic Uptown restaurants, this award-winning local favorite has been housed in an 1877 townhouse for decades. Thanks to the owner and hostess, JoAnn Clevenger, who is collector, Upperline’s walls and shelves are covered with hundreds of paintings, pottery, sculpture, photography, and JazzFest posters. The menu is elevated contemporary Creole, and there’s a three-course prix fixe option if you’re not sure what to get. Another grand dame of Creole cuisine, Commander’s Palace (1403 Washington Ave.) is a beloved landmark that’s been occupying a tree-lined block across the street from Lafayette Cemetery No. 1 in the Garden District. Everything you decide to try on Chef Tory McPhail’s haute Creole menu will be top notch, but the turtle soup and Creole bread pudding soufflé (dubbed the “Queen of Creole Desserts”) are a must. For satisfying lunch options, try the house burger at The Company Burger (4600 Freret St.). It comes with a fried egg, two patties, and bacon. And all hot dogs at Dat Dog (with two Uptown locations, 3336 Magazine St. and 5030 Freret St.) come with a choice of more than 30 toppings. Both locations also have dog-friendly outdoor seating. If you’re here in March through October no New Orleans visit would be complete with trying a local snoball. These heavenly, frozen concoctions of finely shaved ice and flavored cane sugar syrup are uniquely Southern and come with an explosion of favors. Your best options near the Alder Hotel are SnoWizard Snoball Shoppe (4001 Magazine St.) with a creamy and sweet Mexican vanilla flavor as one of the standouts, or Plum Street Snoballs (1300 Burdette St.). Pink lemonade, bananas Foster, nectar cream, and vanilla orchid cream are just a few flavors you’ll find at this cash-only joint with ample outdoor seating. Another New Orleans treat, yakamein, is available alongside classic snoballs at Red Rooster Snoball Stand (2801 Washington Ave.). For more dessert options, we heartily recommend small-batch, handcrafted Italian gelato at Piccola Gelateria (4525 Freret St.), which comes in classic and experimental flavors including bananas Foster, caramelized fig, and pistachio. Finally, Sucre (3225 Magazine St.) cannot be beat for its Parisian patisserie feel and amazing macaroons the whole family could enjoy.